By default the NetScaler / AGEE redirects HTTP requests that are not part of it's 'known pages' to the default index.html. A user cannot just enter 'http://MyAccessGateway.company.com/vpn/index-gridguard.html' and get the proper page. 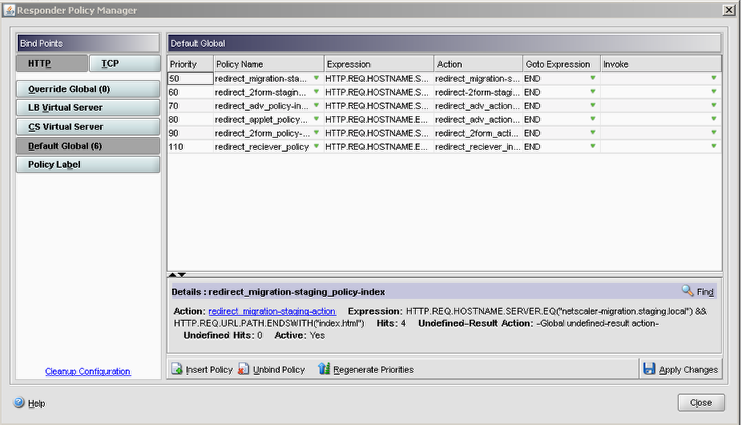 To configure the NetScaler / AGEE serve the proper customized page, a responder rule will have to be made. It will also have to be bound to the global responder. The following steps will cover this process. Target: The external URL of the access gateway virtual server that points to the customized page. Enclose the URL in double quotes. 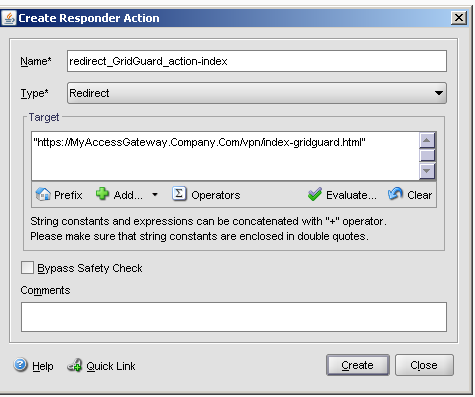 Now the responder policy need to applied to the Global Responder. To do this open the Responder Policy Manager and select the 'Default Global' section on the left. Click on ' Inset Policy' . 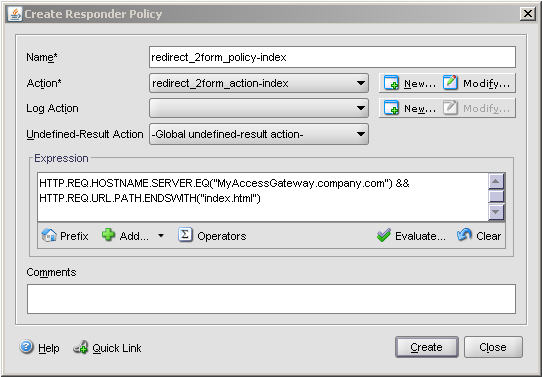 Now select the proper priority and the previously created responder policy. Then click the 'Apply Changes' button to complete this process.